Step 1: Rinse all of the natural elements in water. 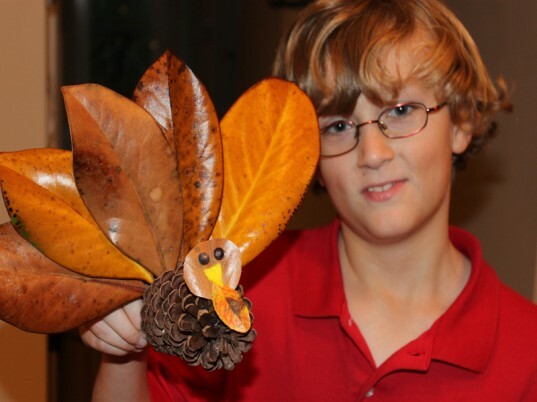 Step 2: Have your child cut a circle shape from a leaf for the turkey’s head. 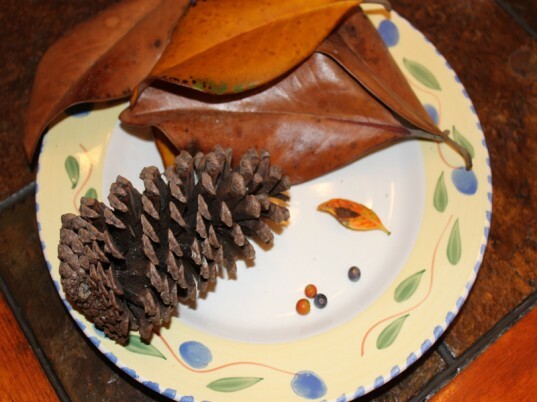 Then glue on leaves or found feathers for tail feathers and a wattle and berries as eyes. Step 1: Cut an apple in half. 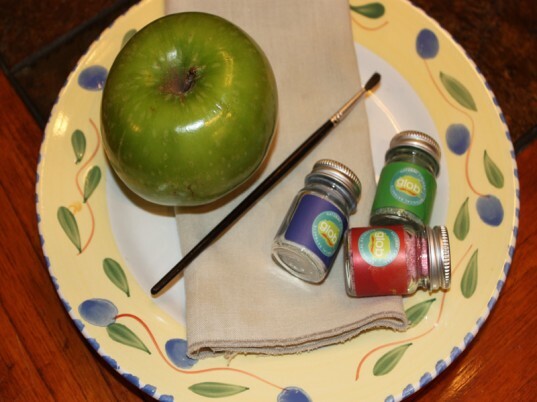 Step 2: Add a thick layer of pigment paint to the apple. 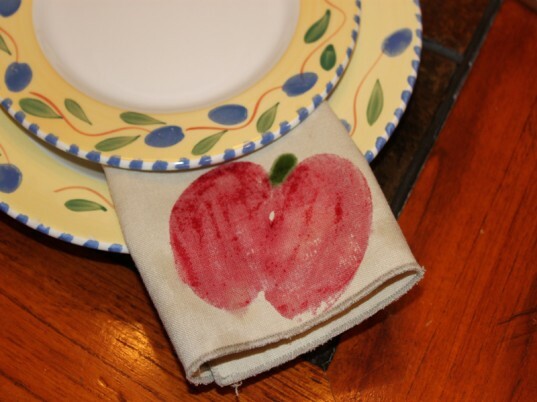 Step 3: Firmly press the apple down on a napkin. 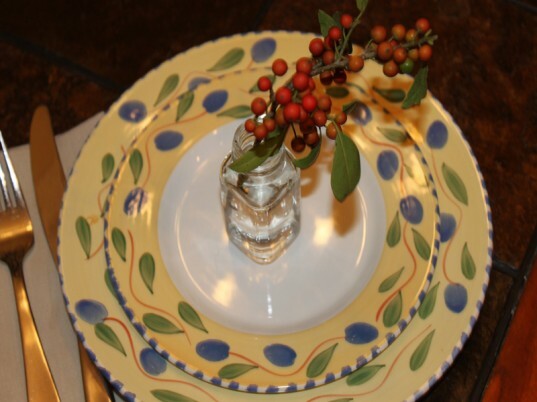 Step 4: Remove and hand paint any details such as the apple stem. 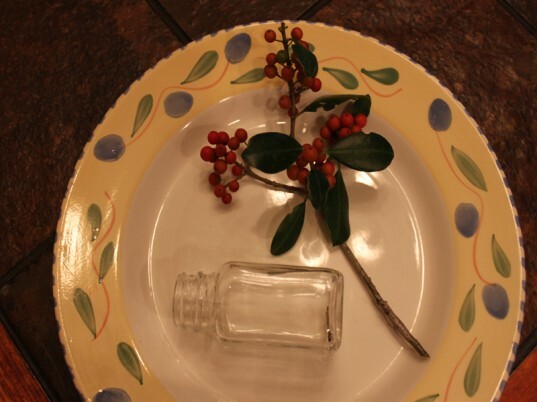 Add found branches to small glass bottles filled with water, I found ours in the recycling bin – they used to hold syrup. 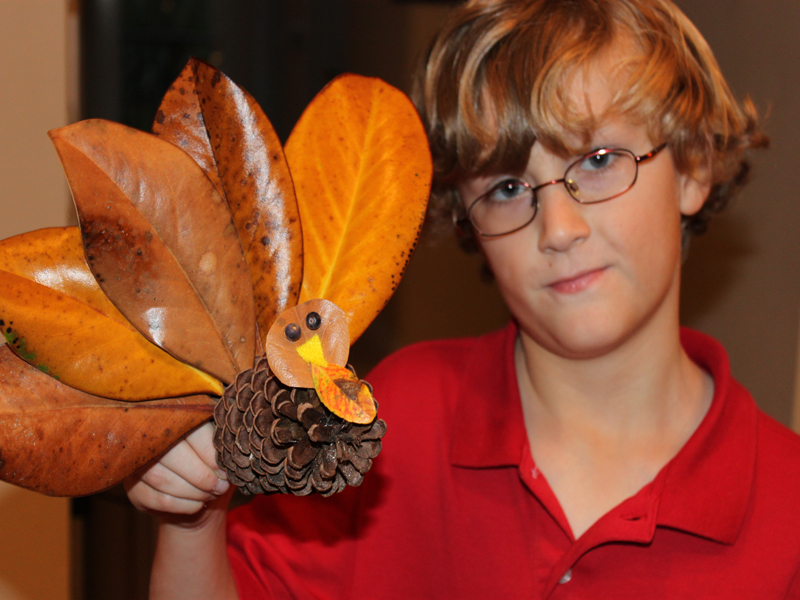 Step 2: Have your child cut a circle shape from a leaf for the turkey's head. Then glue on leaves or found feathers for tail feathers and a wattle and berries as eyes.